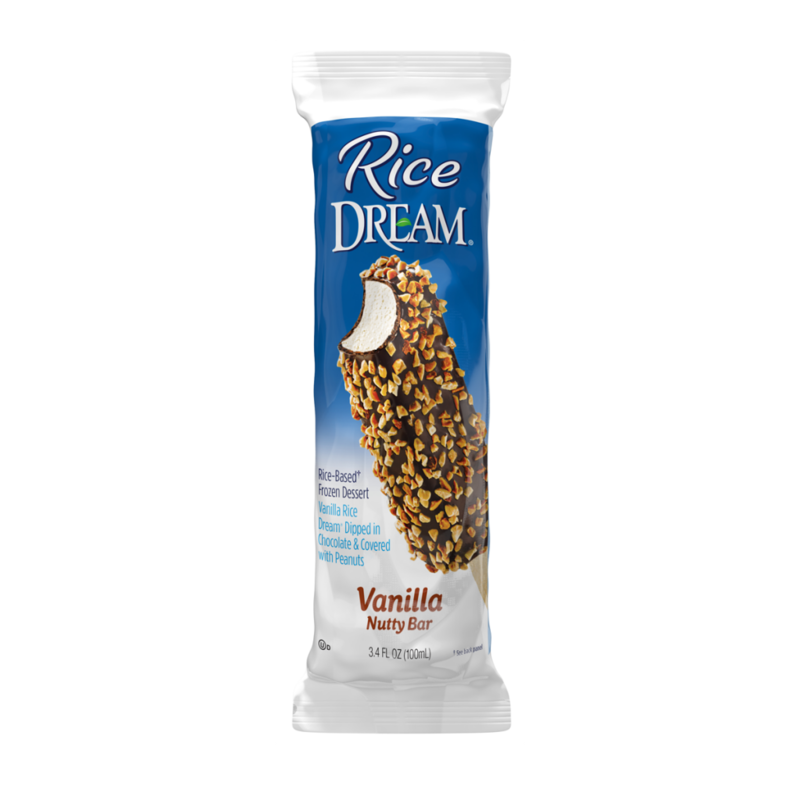 Rice DREAM® Vanilla Nutty Dessert Bars are deliciously creamy sweet vanilla frozen desserts coated in sweet dark chocolate and rolled in crunchy roasted nuts. Filling: Filtered Water, brown rice (partially milled), expeller pressed high oleic safflower oil, vanilla, tapioca starch, guar gum, sea salt, carob bean gum. Coating: Peanuts, coconut oil, evaporated cane sugar, unsweetened chocolate†, soy lecithin, vanilla. Contains: Peanuts, Coconut, Soy. †UNSWEETENED CHOCOLATE CONTAINS MILK. NOT SUITABLE FOR MILK ALLERGIC INDIVIDUALS. Manufactured in a plant that uses eggs, wheat and tree nuts.